Stocky, about half the size of the Grey Heron and most active at dusk. Adult's grey plumage with black back and crown are unmistakable. The brownish juvenile is prominently spotted with white on back and coverts. 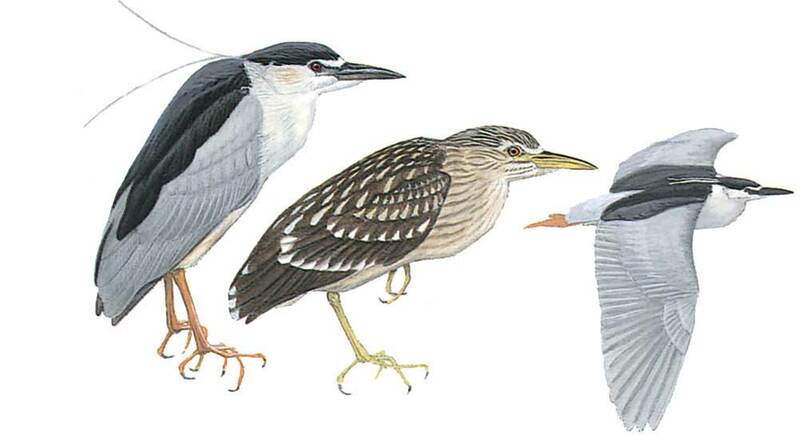 This feature identifies it from the other brown heron-types, notably the larger Bittern. By the second year the spotting is reduced in size and the mantle and scapulars become grey-brown similar to the black of the adult. During the day it is more likely to be flushed than seen in the open.